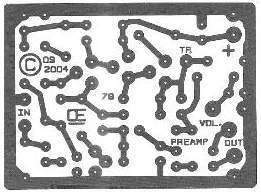 Origionally Created "Sept 17 2004"
Using these circuits will give a reasonably Good system. A Better System can be obtained for Much more Money. 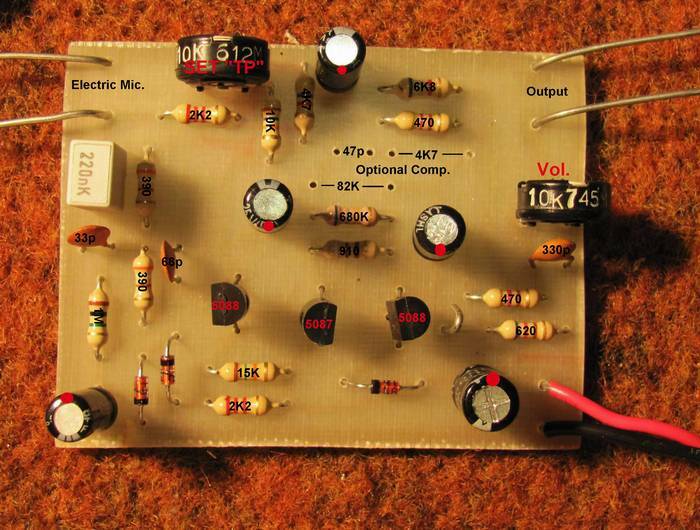 I prefer to use Individual Circuits for the Preamp, Power Amp, Filter, Etc. 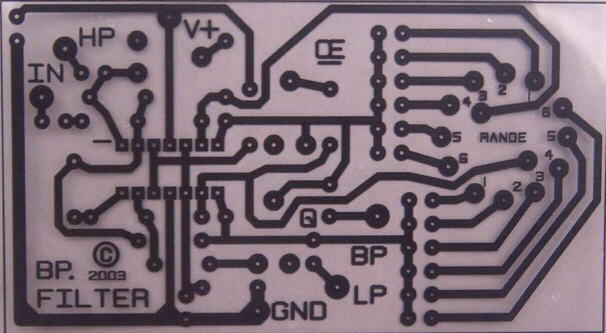 This makes it easy to change the boards, if you are not happy with any one of them. 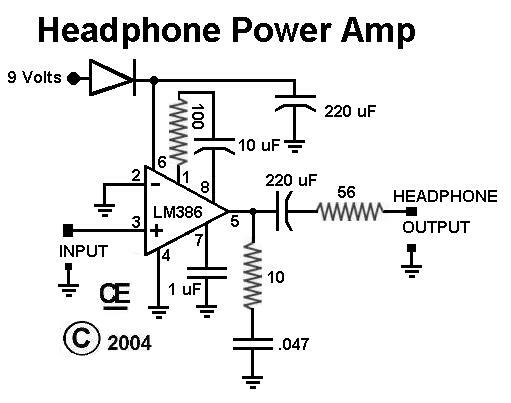 the electronics is Basically the same. My Experience with Shotgun Mic's is not that good. I prefer the Parabolic. 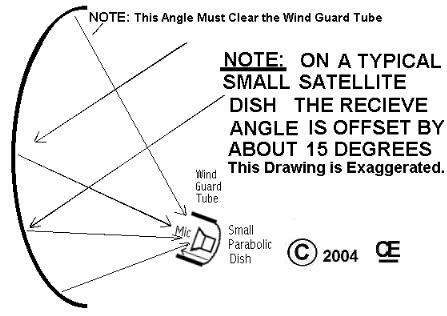 Parabolics should be at least 18 inches in diameter for this purpose. Smaller diameter Parabolics don't work very well in the Audio Range. Any Type of Microphone can be used, But I prefer using a speaker as a Microphone. 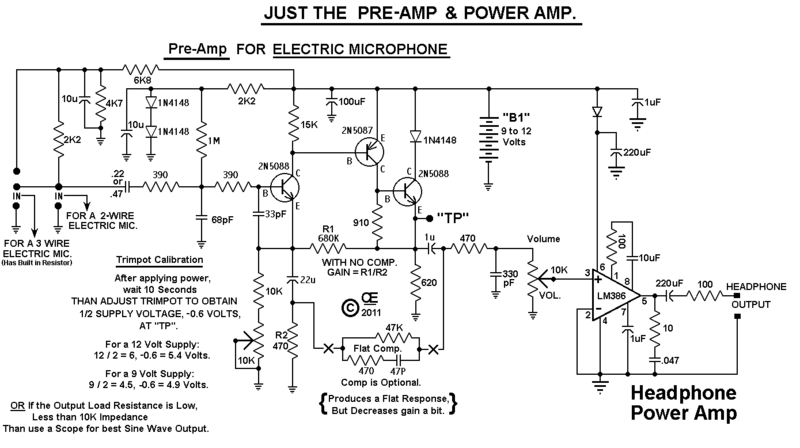 However an Electric (Condensor) Microphone will give a Better Frequency Response. with a pin-point focal point. 2 or 3 inch parabolic behind the Mic. them back into the main dish. 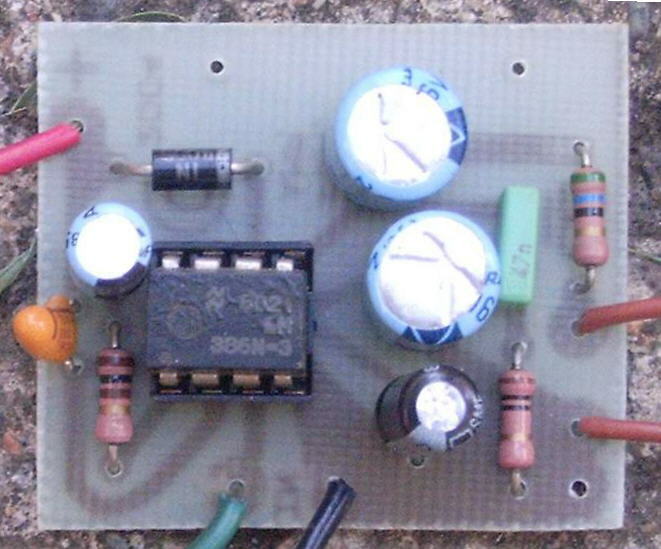 Additionally, the Microphone should be Shielded from any Wind coming in from the sides. 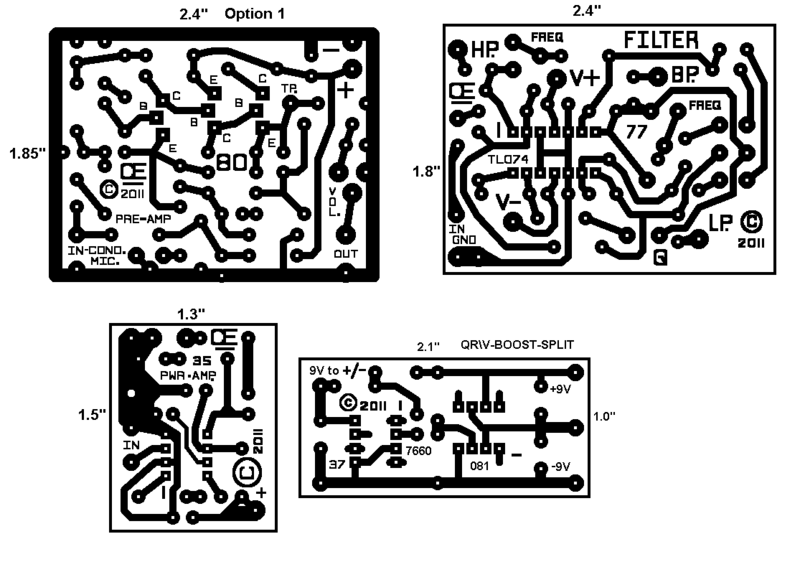 "Go To My Home Page"
NEW REVISED Schematic With Filters. Posted Here on October 22, 2011. 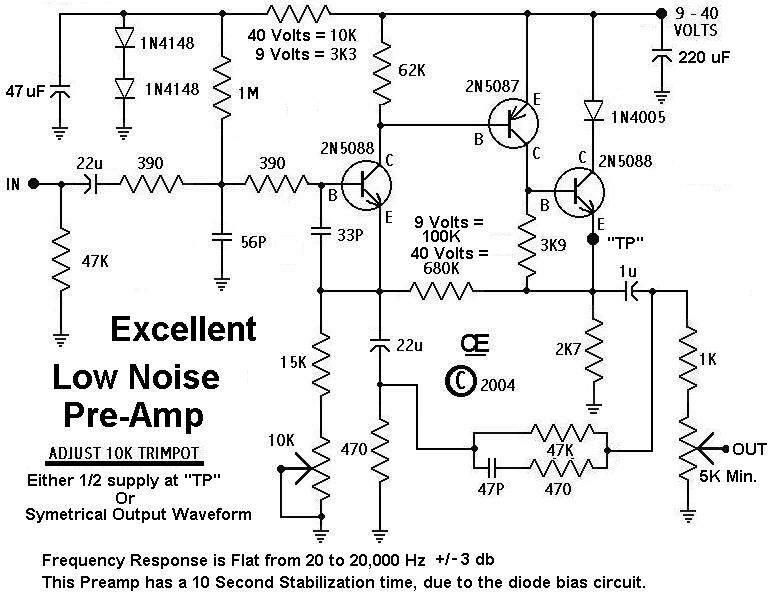 Range Switch for Either the BP Filter, A High Pass Out or a Low Pass Out. 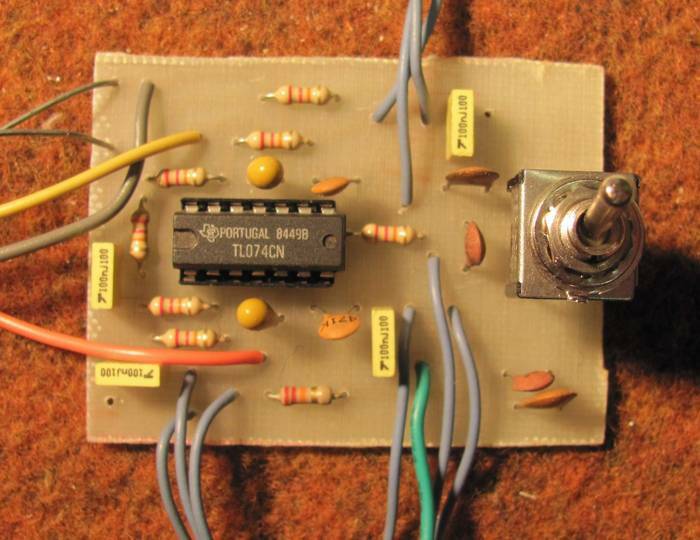 It also uses a 3 Position, Center Off, Toggle Switch, to give Three Frequency Ranges. 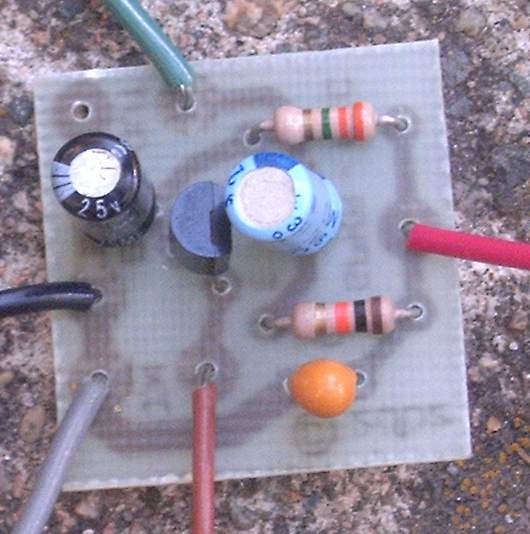 Optional "NOTCH FILTER", Added in Schematic on April 9, 2012.
from 9 Volts, Overlay Picture. 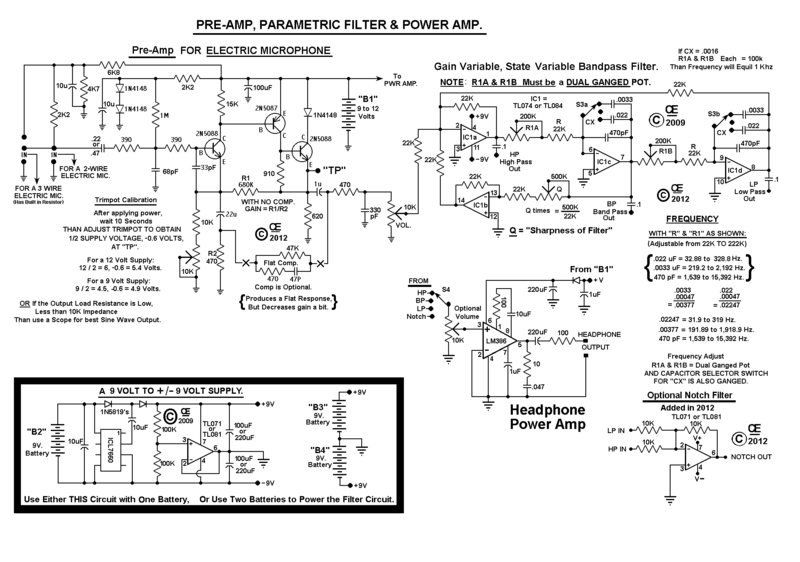 The Preamp & Power Amp just require a single 9 or 12 Volt Battery. 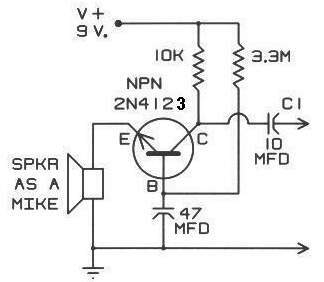 The Filter Requires a "Plus and Minus", 9 or 12 Volt Supply. 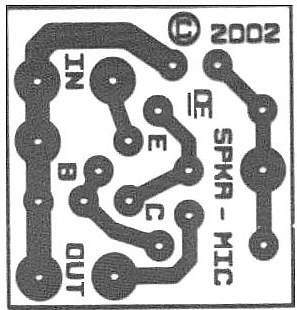 "9 to +/- Circuit" to power it. 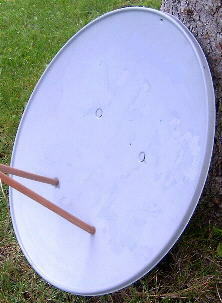 A Typical "Home Satellite Dish". IMPORTANT NOTE: See the Recieve Angle. This Angle can be a nuisance in Aiming correctly. Older Parametric Filter Picture Overlay. 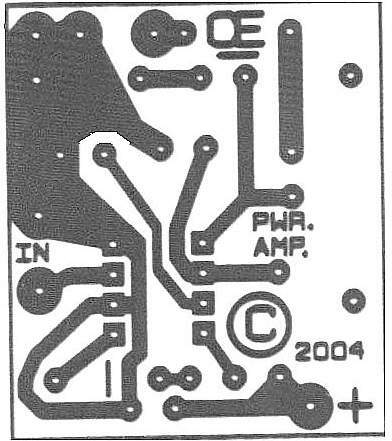 Older Power Amp Picture Overlay. 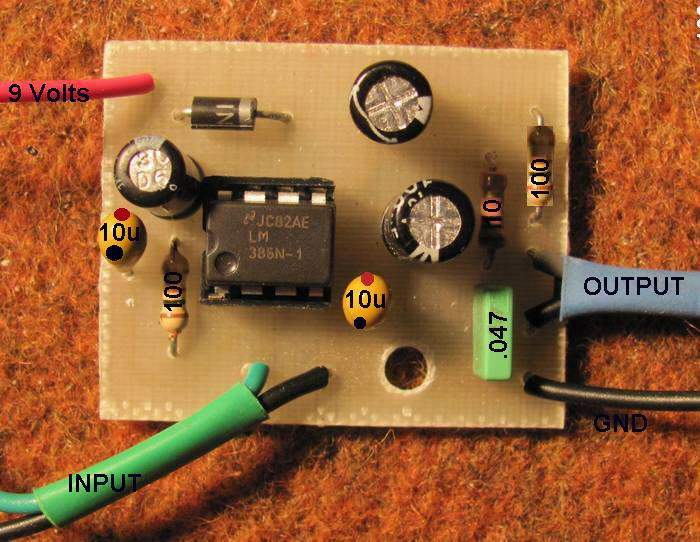 Older Speaker as a Mic Schematic. 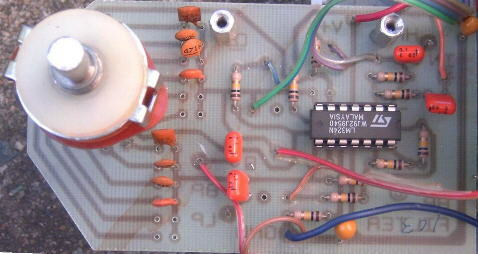 Older Speaker as a Mic PCB. 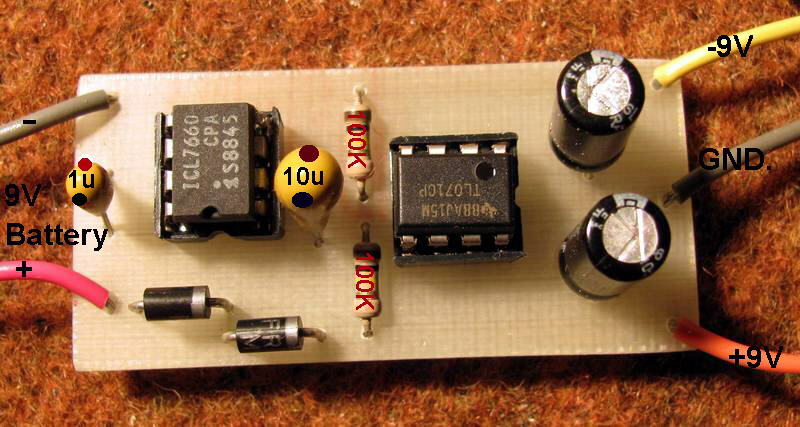 Older Speaker as a Mic Picture Overlay. A 5 Foot Satellite Dish. This one is a 90 degree Focus Angle. 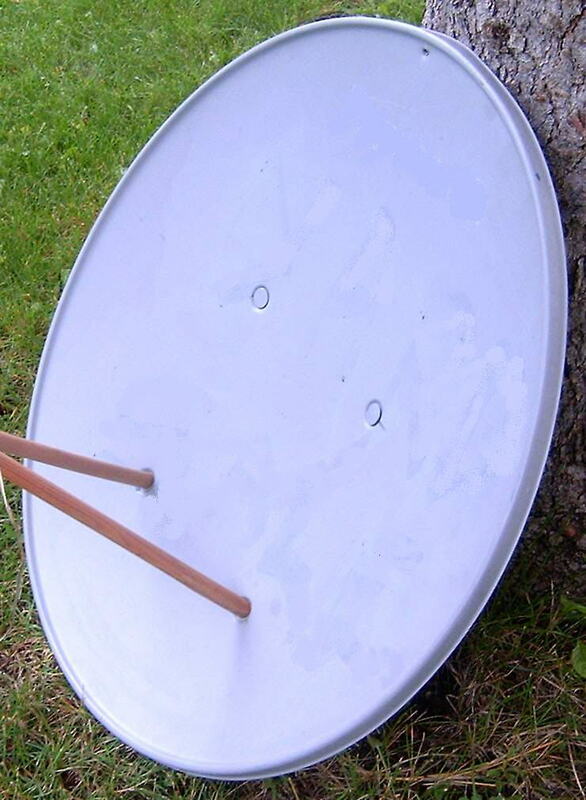 A 32 Inch Satellite Dish. This one is about a 75 degree Focus Angle. 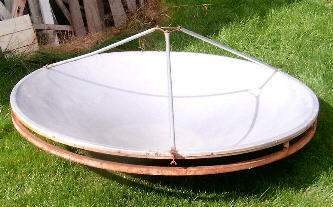 A Mirrored Glass Parabolic Dish. 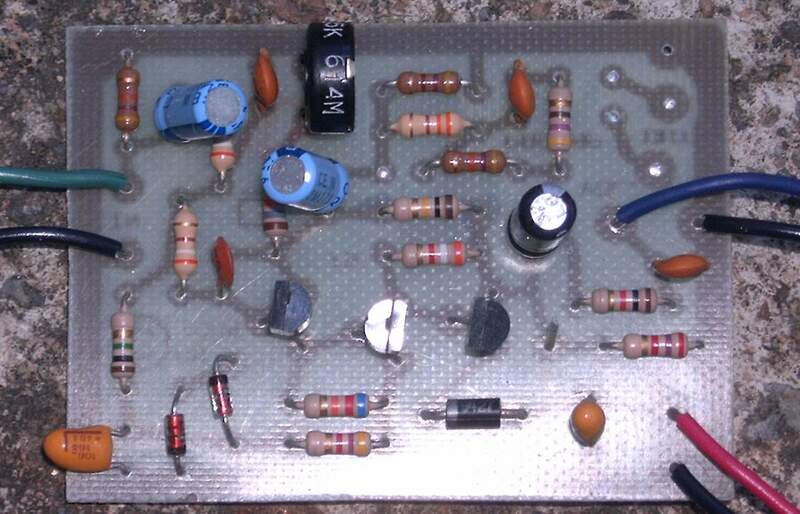 A Signaling Mirror From A WW2 Distroyer. Viewing Distance greater than 2 miles. Made by "Bausch & Lomb" Excellent Optical Qualities. (I Bought this dish in 1963 for $30.00 from a Military Surplus Store. It Was NOT CHEAP, Especially back in 1963.